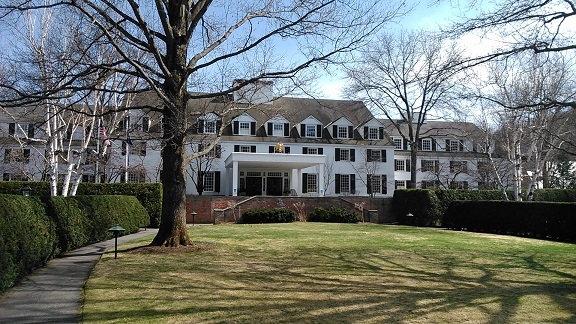 I just attended the New England Political Science Association (NEPSA) conference held in Woodstock, Vermont at the Woodstock Inn. I presented a paper titled “The People’s Nuclear Weapon: Strategic Culture and China’s Nuclear Weapons Program during the Mao Era (1949 – 1975),” and received excellent feedback from our discussant Chris Dolan of Lebanon Valley College. I also served as chair and discussant of another panel for the first time (Public Policy in Comparative Perspective). Overall NEPSA successfully facilitated a supportive and collegial environment for participants; see the event program below for more detail. This entry was posted in China, conference, Mao era, Nuclear, People's War, strategic culture and tagged China, conference, Mao era, Nuclear, People's War, strategic culture. Bookmark the permalink.